SAN FRANCISCO, Jul 12, 2011/ — The rise of the urban commuter cyclist also gave rise to a whole new line of clothing at Levi’s – the Commuter by Levi’s® brand, clothing designed and optimized specifically for the needs of the urban commuter cyclist. Arriving in select Levi’s® Stores this week, the 511™ and Trucker Commuter products integrate an array of features that address cyclists performance, convenience, safety, mobility and protection needs while maintaining the durability and classic styling that people expect from the Levi’s® brand. The launch of these products builds upon the Levi’s® brand’s commitment to innovation while tying back to the new global ‘Go Forth’ campaign which is a rally cry to create positive change in the world. Built around the 511™ Skinny Jean, the Levi’s® brand’s most popular skinny fit for men, the 511™ Commuter features fabric and construction upgrades that increase mobility and durability, while protecting cyclists from the potential hazards of their daily commute. 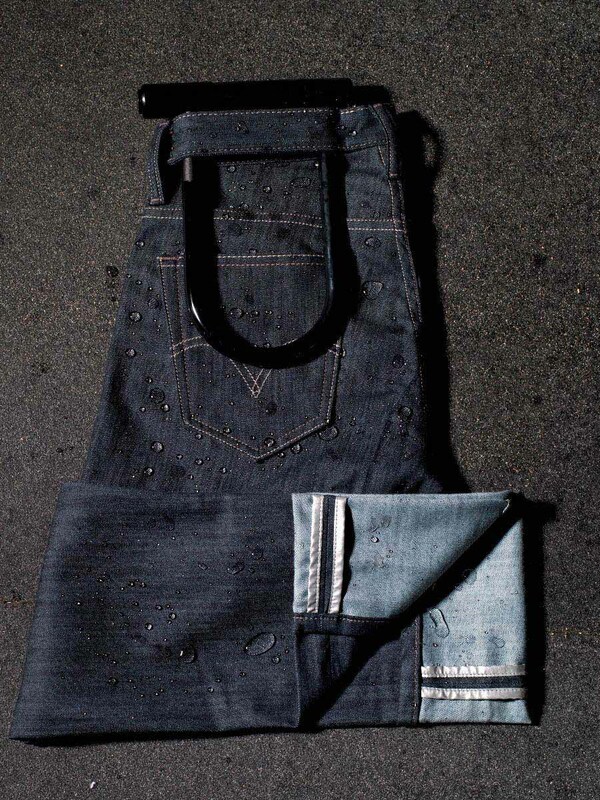 The 511™ Commuter comes in two styles – a full length and cropped version – and both denim and non-denim fabrics. The series also includes a Commuter version of the classic Levi’s® Trucker Jacket, an iconic work wear style that was first introduced in 1962 and has now been updated for the modern worker who demands performance and style on and off the road. All Commuter by Levi’s® products blend form and function by utilizing the most cutting-edge performance apparel technologies. The Levi’s® brand partnered with Swiss-based Schoeller Technologies AG to be the first to introduce NanoSphere® treatment into denim fabrication. In addition to these performance technologies, the Levi’s® brand also leveraged its own insights and superior construction techniques to make their new cycling products more commuter-friendly. Both the Commuter by Levi’s® Trucker Jacket and the 511™ Commuter Skinny feature just the right amount of stretch to increase mobility while maintaining their signature fit. The 511™ Commuter Skinny also features a raised back yolk that minimizes lower back gap, a reinforced crotch gusset that protects against ripping in this high stress area, double back layer pockets, a U-lock storage system and fabric reinforcements throughout. The Trucker has extra utility pockets and modifications to the sleeves, cuffs and tail that enable more comfortable movement while cycling. The 511™ Commuter Skinny and 511™ Commuter Cropped Skinny retail for $78 and the Commuter Trucker Jacket retails for $128.